TAG has two fields in production and under development, the Cheal and Sidewinder fields, which produce from the Miocene-aged, Mt. Messenger (~2000m) and Urenui (~1600m) formations. 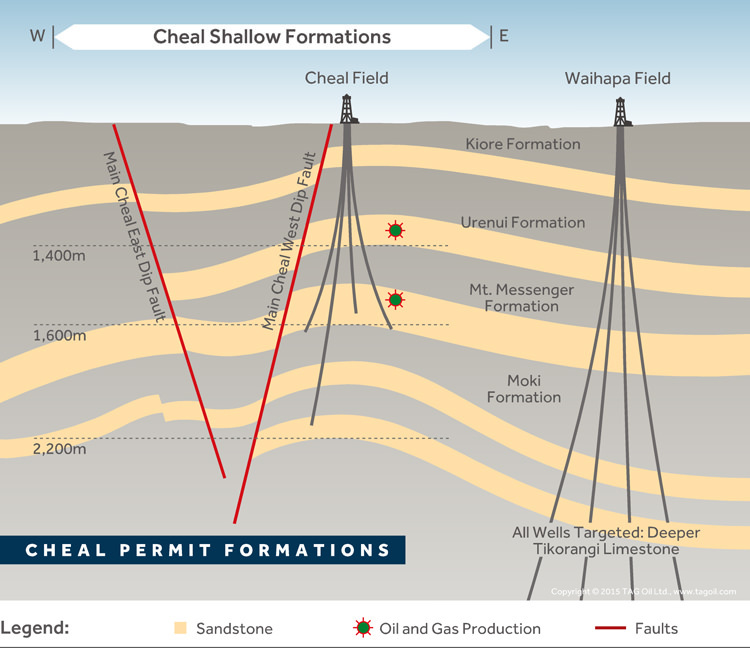 Ongoing development and step-out drilling in the surrounding acreage has achieved a track record of drilling success, with most of the prospect-rich discovery acreage yet to be explored. 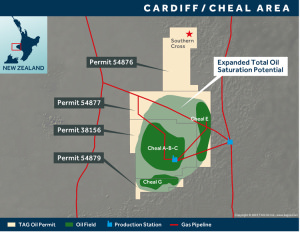 TAG’s field development at Cheal and Sidewinder will continue to fuel TAG Oil’s production growth for many years to come. 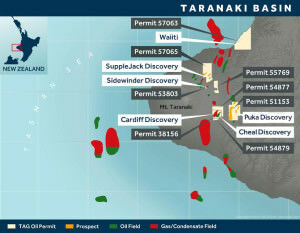 TAG is a prominant explorer and acreage holder in New Zealand’s Taranaki Basin where average conventional discovery field size is many magnitudes larger than in North America. 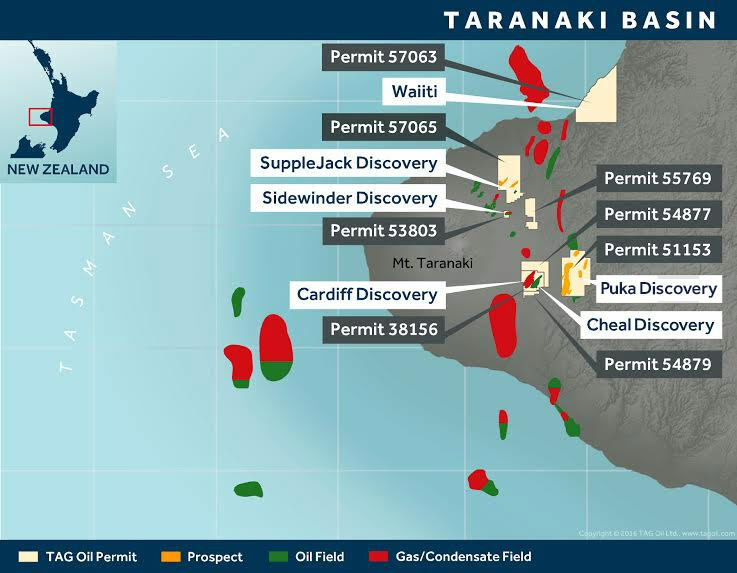 The Taranaki region is infrastructure rich and has a thriving domestic natural gas market. 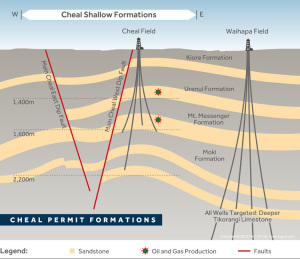 TAG holds a 100% interest in the Cheal discovery which produces oil and gas from the Mt. Messenger and Urenui formation. 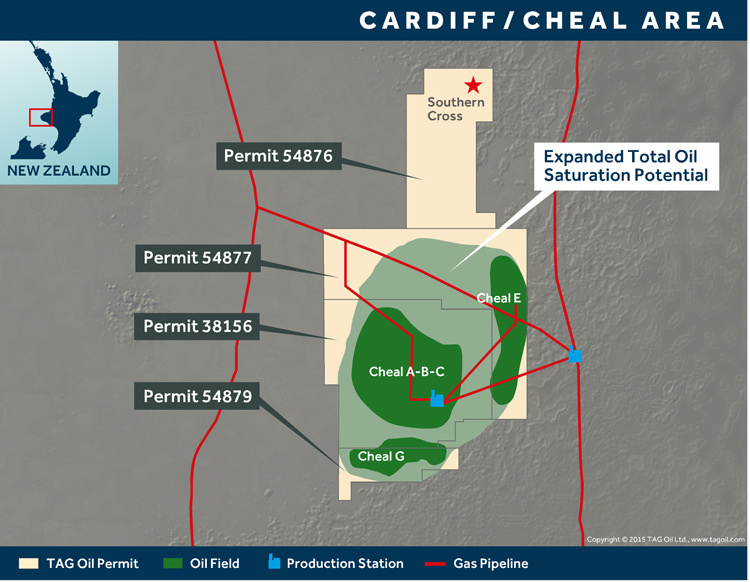 Drilling success has provided encouraging results indicating oil saturation potential across TAG’s entire acreage.